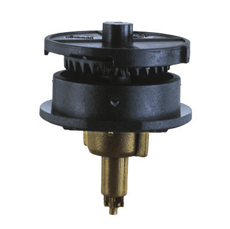 This product, offered in 120 lph (0.53 gpm) is an adjustable part circle sprinkler that can be adjusted easily to irrigate any sector for example an arc of 90°or 270°. For the edge of fields irrigated with full circle sprinklers in order not to wet the road and save water. 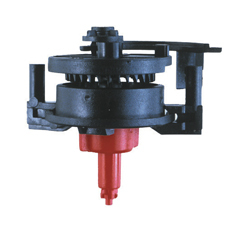 Can be used to irrigate wide strips and medians byspacing the sprinklers on both sides of the strip at spacings up to 8X8 m (26x26 Ft).